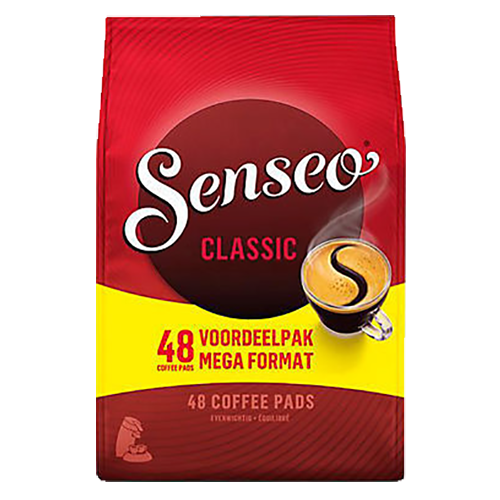 Senseo Classic coffee pads gives an intense and aromatic coffee, rich and round with a pleasant aftertaste here on a niceprice 48pac. Senseo Classic has a well-balanced flavor and is especially suited to enjoy in the morning. The best choice for those who like strong coffee with a bitter tone. The most popular of all varieties of Senseo.